Lots of good choices out there. I’m a 10 and have played MP4s for the last 3 years (was a 12)...they are a lot more playable than most people think. They really add to the enjoyment of the game for me. Thanks for chiming in. What do you like most about the mp4s and what were you playing before? I like your comment about "adding to the enjoyment of the game." That's my main goal as well. I was playing Nike Split Cavities which I really liked. Only issue I had with them was controlling ball flight...I hit moon balls to start with and the Nikes really used to launch. The MP4s are much easier to control the flight, but the best thing about them is distance control. On slight mishits, they always seem to fly pin high. Most of the trouble at my home course is short or long and you can generally get away with shots that are just offline but the right distance. The feel is not the “butter” that Mizuno is famed for, to me anyways, but rather a very solid ‘thunk’ that really is addictive. Just typing this is making me want to go and hit one!! Thanks for the insight, Mahonie. I'm going to a store this weekend where they should have some older Mizuno sets to hit. Hopefully they will have the MP-4s available. Another vote for the MP54. Great sticks and can be found 3-p in the plastic under $400 from KS9 on the bay. Love mine, brought me back to loving golf and confident with every club. For a pure blade I'd look at the MP-67 to MP-69 range as they're a little bit older so way cheaper than the newer models but will still give you a feel for whether you like the Mizuno forged blade feel (spoiler alert: you will). If you're looking for an intermediate option then MP-53/MP-54 would be a great choice as they have a little more help which you will appreciate in the long irons - I personally don't have the swing speed for my MP-68 4 iron (apart from a stinger off the tee) so I've swapped it out for a 4H. Those sets certainly seem to be readily available and I've got my eye on a couple right now. The plan is to start practicing with the blades and then slowly blend them in with my current set. If all goes well, then I'll make them my gamers. If not, then I'll make adjustments and move on. Appreciate your feedback though! I was in the similar position. I picked up a set of MP 57 for $200 on eBay that was in decent shape with the right shafts. 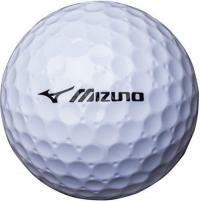 Itâ€™s a classic Mizuno cavity that is bigger than a small blade but feel just as good. I had them bent to the more modern MP 18 lofts. After one round I kicked my Taylormade speedblades to the curb. I dropped back a club on distance but realized that doesnâ€™t matter in the slightest. As a plus, the short irons are much easier to chip with around the green. This guy posted these heads on the classifieds today. Donâ€™t know him but it looks like a really good deal. Thanks for referring me to the BST listing, Solidstrike. It's an ideal package as its only the heads. Why did you have the lofts changed on your mp-57s? IMO you can pretty much safely pick almost any MP iron and you will be fine. The exception might be the models with Titanium forged into them, not because they perform poorly but because they feel a little different. If you widen the net then the chances of finding a set with the NS Pro 950 S, which has been a Mizuno option for years, will be increased, although the combination is one of the less frequent custom orders. In the more recent models the Modus 105 might be a shaft option you can live with, occasionally Mizuno irons show up with Shimada shafts, the Constant and the slightly heavier Tour Lite are pretty close to the NS Pro 950. DaveMac, I really appreciate you identifying shafts that are similar to the NS Pro 950. That will be a big help as I consider used options. Thank you! Just played a really nice round on a new local course with my recently acquired mp15s. They go about one club longer that his other forged irons so he paired them with the new mizuno mp T7 wedges. They are the new carbon steel with boron wedges and they go further than his other forged wedges so it is a great distance gap set. Feel great too. But at the end of the day, it comes down to your preferences. Good luck. kcd38, If I thought I could squeeze a purchase like that under the radar at the moment, I would absolutely try to. My wife is very inquisitive and I'm not sure I have enough resources to open up another front in our 15yr trench war love affair. Maybe at the end of the year or just after the holidays. But thank you for the recommendation! Give Discount Dan's a call and order a MP-18 MB/SC combo set. They might be able to work something out for you (wink, wink). I would split the set at the 7 or 8 iron. If you want to spend as little as possible, buy a set of MP-32's. mjbfyb, are you Discount Dan? Nope, I just like to save money. DD’s is in Oregon. I live in Missouri. 850 Forged have been in my bag for about as long as anything ever has. Found some brand new 900 Tours last week for $500 at my local shop and was really tempted. JPX 900 Tour or Forged? I’m an 11 handicap and went with the Forged when I got fit Tuesday. It’s not like I had much of a choice since the Tours aren’t available in lefty. I like the feel of them better than my ‘14 TaylorMade TP CB irons that I’ve gamed for the last 4 years. I’ll likely weaken the lofts by 1* since I don’t need the extra distance and they should fly similar to my current yardages. 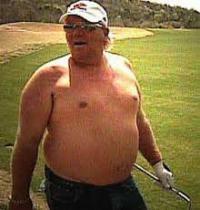 I'm around a 5 Handicap and I prefer the 900 Forged over the Tour. My local shop only had the Tours on sale so my bank account was saved. I was in the similar position. I picked up a set of MP 57 for $200 on eBay that was in decent shape with the right shafts. Itâ&euro;™s a classic Mizuno cavity that is bigger than a small blade but feel just as good. I had them bent to the more modern MP 18 lofts. After one round I kicked my Taylormade speedblades to the curb. 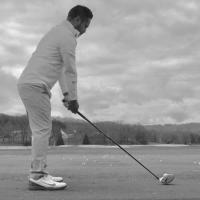 I dropped back a club on distance but realized that doesnâ&euro;™t matter in the slightest. As a plus, the short irons are much easier to chip with around the green. This guy posted these heads on the classifieds today. Donâ&euro;™t know him but it looks like a really good deal. Cool. I changed the lofts because the standard PW is 47 for those irons and I play a 50 gap wedge. 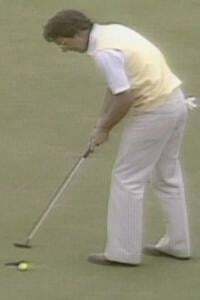 PW became 46 and the rest of the irons were tweaked down a degree or two for gapping. I'll keep that in mind as I also play a 50deg gap wedge. Thanks for the insight! In my honest opinion, MP-25 irons are it for me. I started the game of golf playing Titleist AP1 710's, then Cobra Bio Cells, then Adams XTD Forged, then MP-25's, then Srixon 765's and then back to MP-25's. Can't say enough about the look and feel of the MP-25's. Feels like butter, has the forgiveness of a CB and looks amazing at address. Given the amount of irons i've shuffled through above in the past 6 years, the MP-25's are firmly planted in the bag and I will be looking for backup heads once the grooves wear out. I am interested in the MP-18 SC though.... cant go wrong with Mizzy's! I switched from mp53s to mp64s a couple years ago and haven't looked back. They are some of the best irons I've ever played. There are quite a few sets on Ebay for reasonable money. I went from MP-14 blades back in the 90s when I was in high school and a good player to switching to Titleist AP2s several years ago when I didn't play enough realized I wasn't that good anymore to strike my old faithfuls. Then after getting back into it, I switched over to a combo set of Mizunos and loved it! MP-64s in 3-6 and MP-4s from 7-PW. *Sent you a PM. This season I've actually switched over to a full blade set in MP-33s, which are older, but a lot easier to hit than my original MP-14s. KC, I appreciate your comments and thank you for posting them. Based on your review as well as those of a few others, I'm going to try and hit the mp-25s either this weekend or in the near future. I think I am finally getting the message that you cannot go wrong with a good set of Mizunos. Thanks Jimmie. I'm hoping to be a little better of a ball striker at some point so that set may be one for the future. Thanks for the feedback and the PM JY. Those sets are on my list to try and hit this weekend. I've heard good things about the mp54s but haven't personally tried them. Might offer a little more forgiveness vs the 64s. Maybe worth a try. I know the 53s were forgiving while still giving a tactile and audible feedback when you missed one but not punishing you too bad for it. I haven't tried any of the newer jpx lineup but they should be even more forgiving. As for ball striking, find an individual 6 or 7 iron blade. Take it to the range and practice with it. It will force you to slow down and focus on clean contact. It worked wonders for my iron game. Jimmie, the 54s seem like they might be the most logical option for me or at the very least, a good place to start. I'd like to hit them first and I might be able to get to a store today or tomorrow that has a used set. But your ball-striking comments are exactly why I'm pursuing this. Thank you!